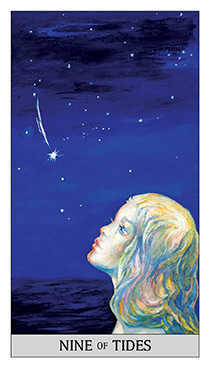 You are finally where you had hoped and dreamed to be. 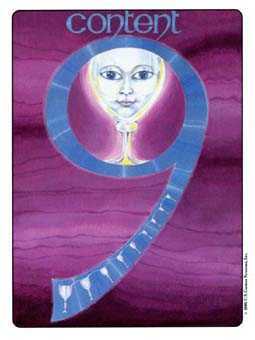 The Nine of this suit is sometimes titled Happiness, but it is also known as Victory. 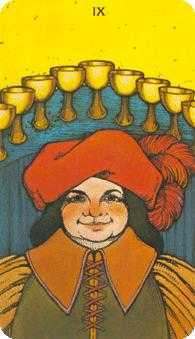 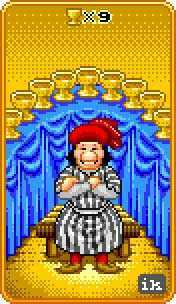 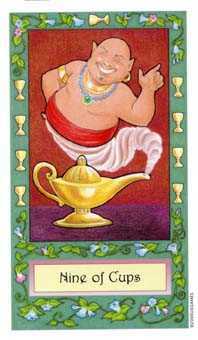 The image on several versions of this card often shows an innkeeper doing a brisk business and feeling very happy about it all. 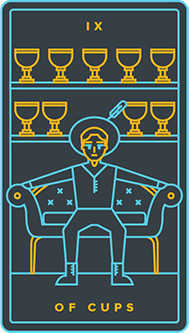 The rewards of high achievement are not all monetary, however. 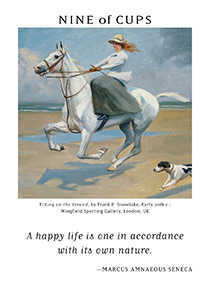 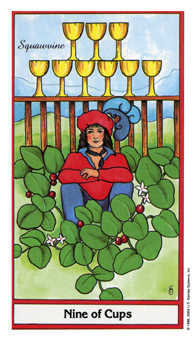 This happiness also refers to the feelings of fulfillment that come from good service to the community and support of one's family, as well as gratitude for all the blessings in one's life. 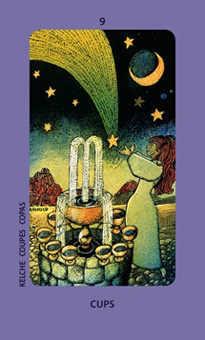 The best faculties to use in this situation are the intuitive ones. 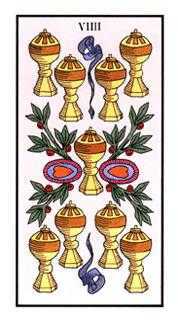 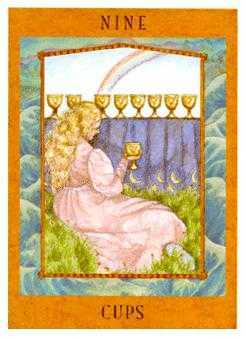 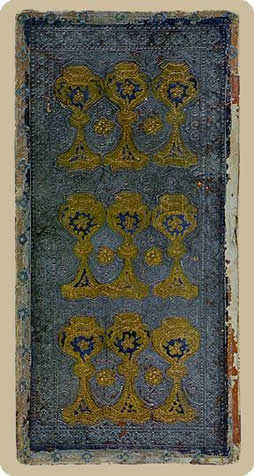 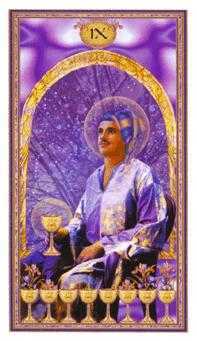 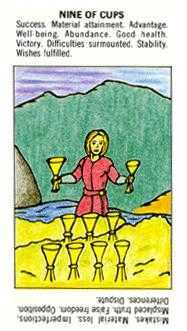 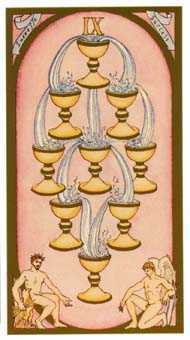 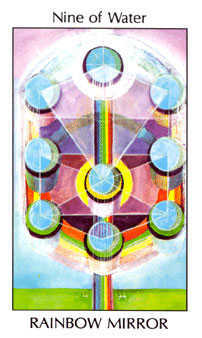 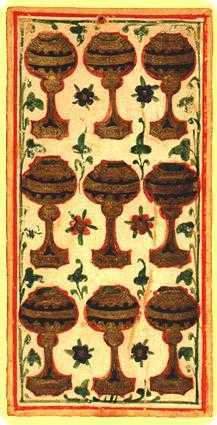 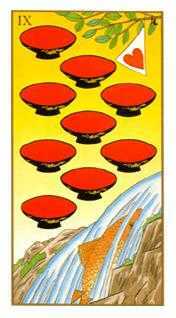 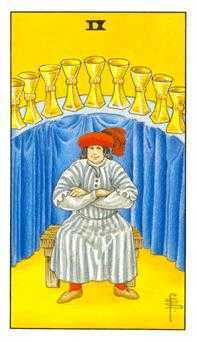 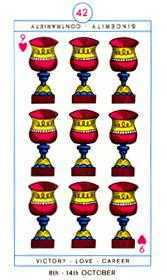 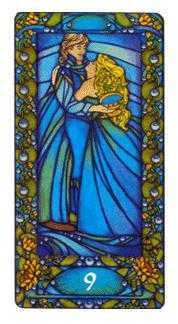 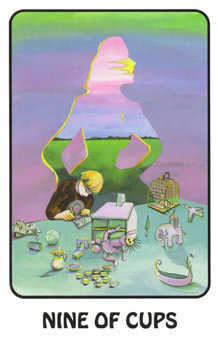 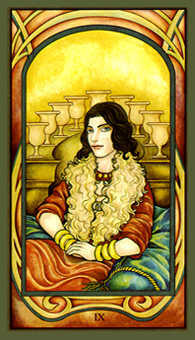 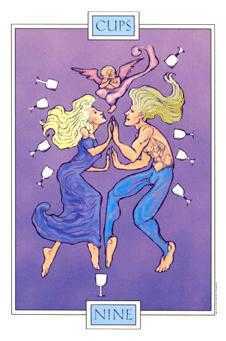 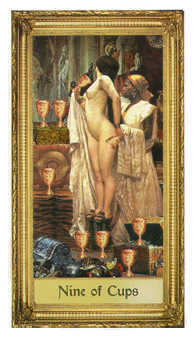 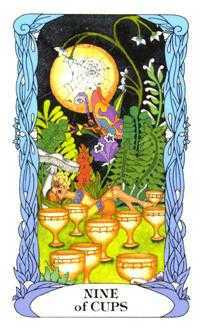 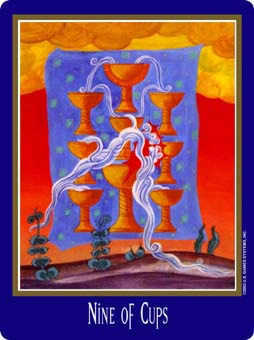 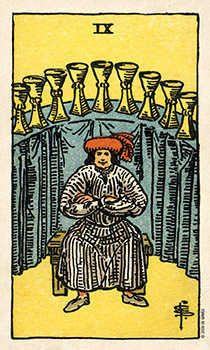 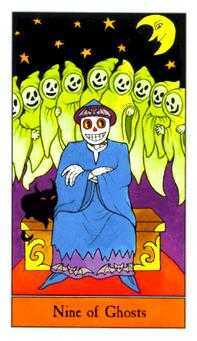 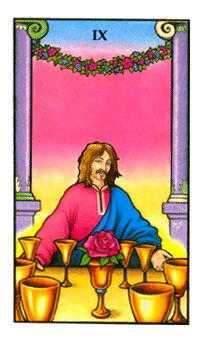 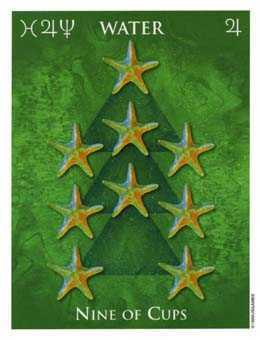 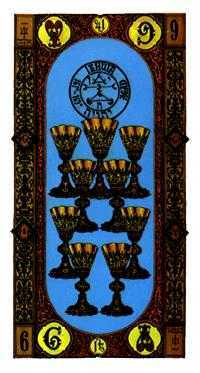 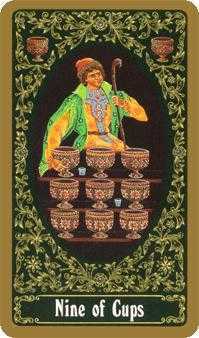 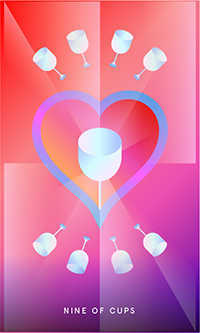 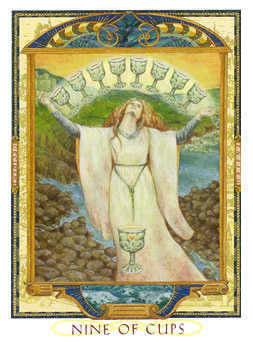 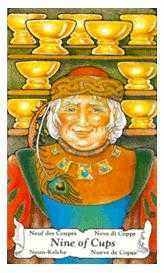 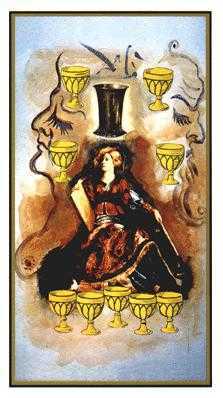 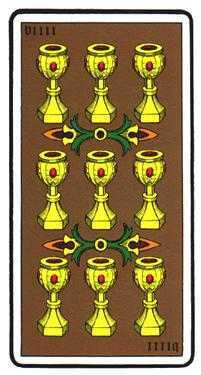 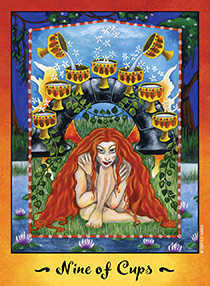 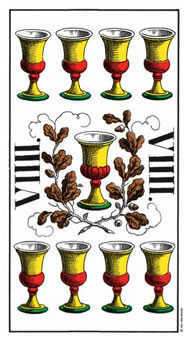 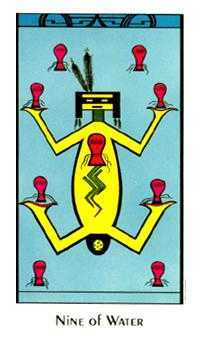 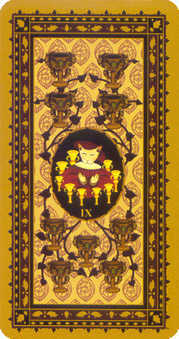 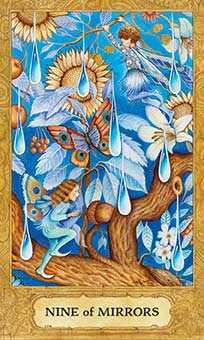 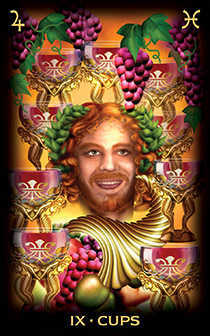 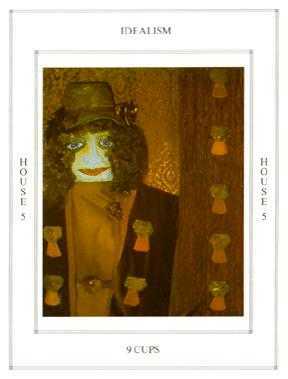 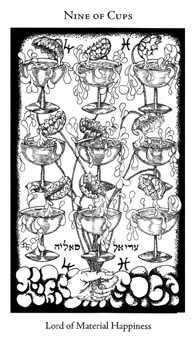 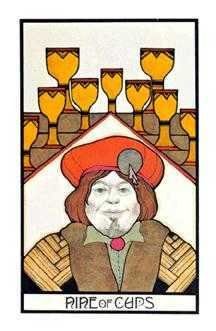 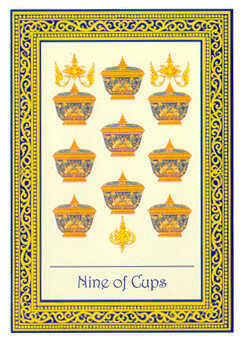 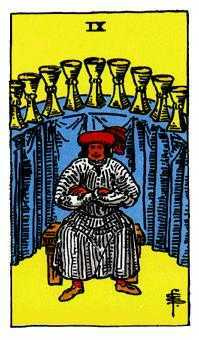 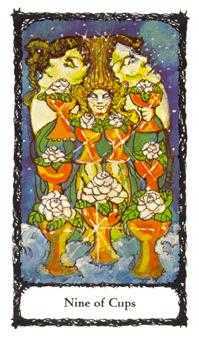 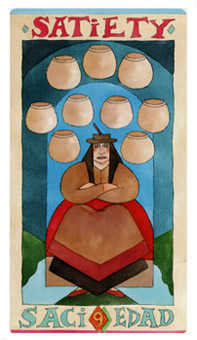 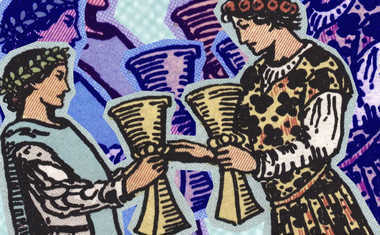 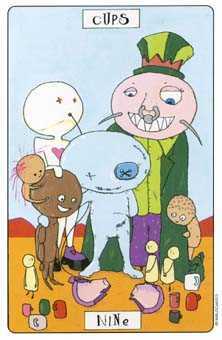 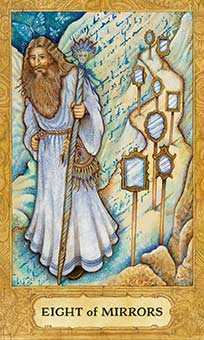 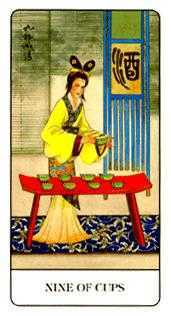 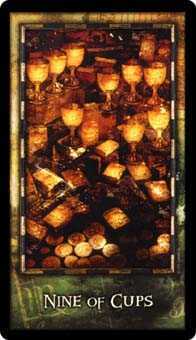 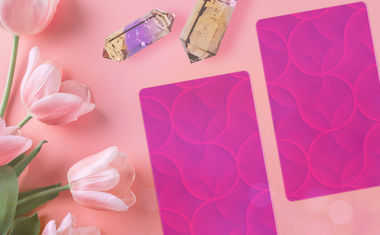 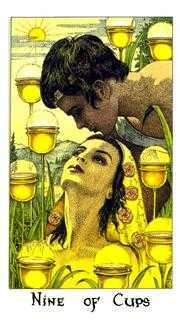 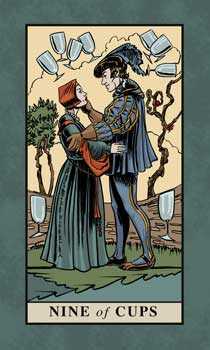 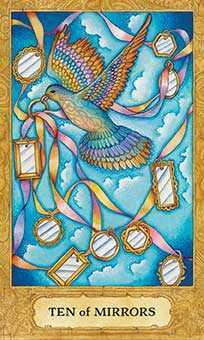 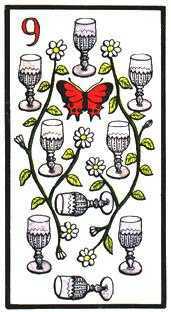 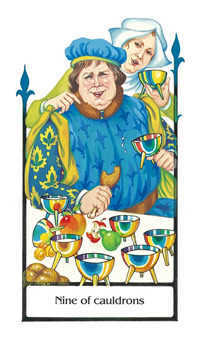 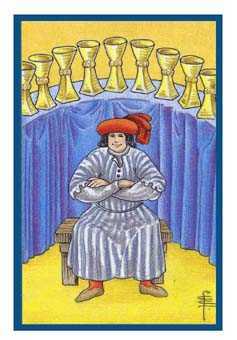 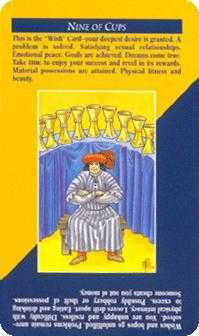 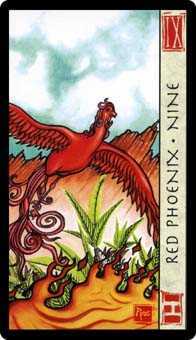 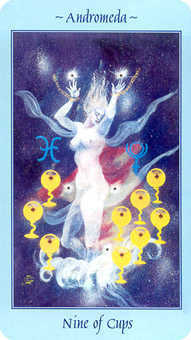 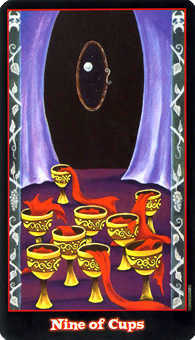 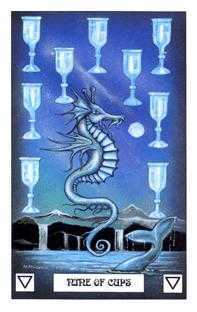 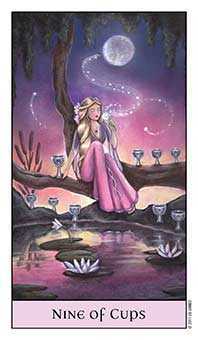 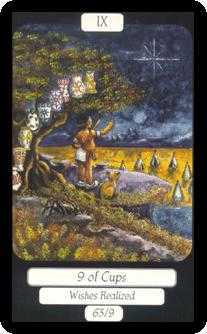 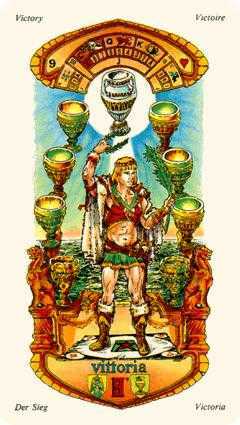 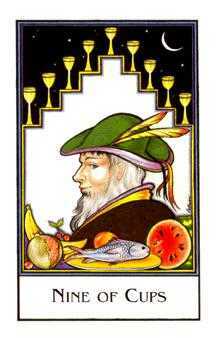 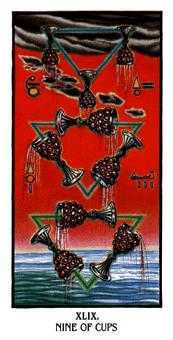 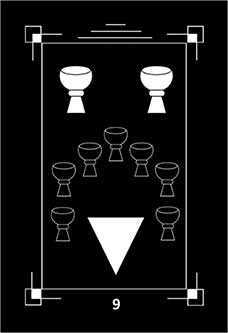 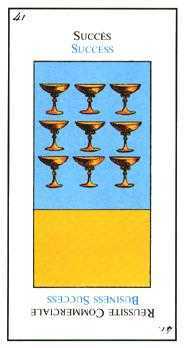 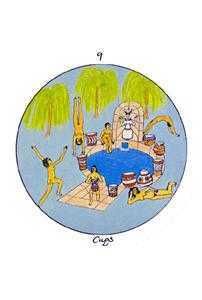 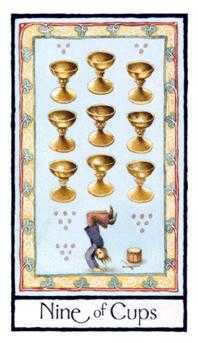 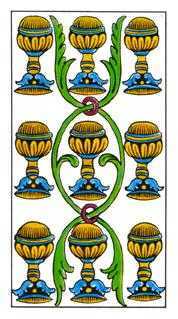 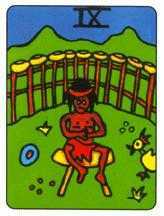 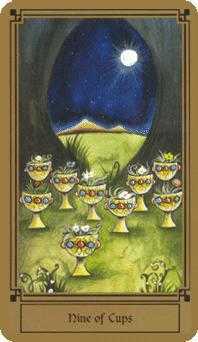 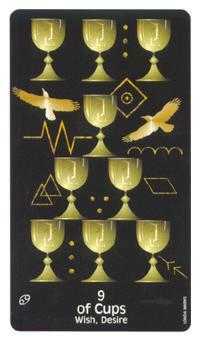 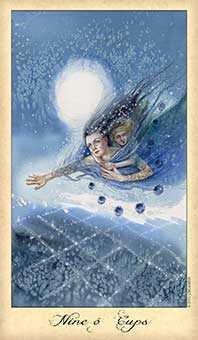 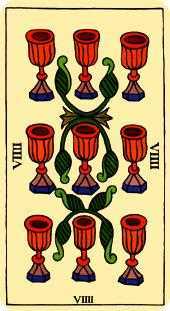 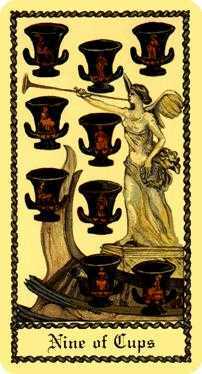 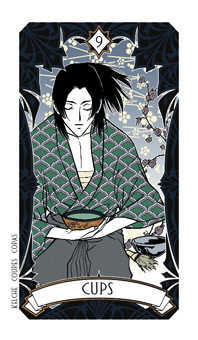 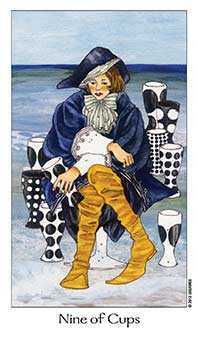 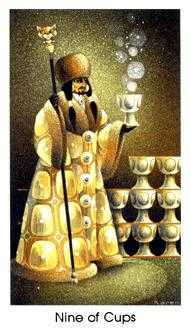 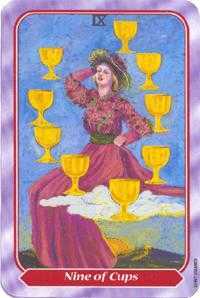 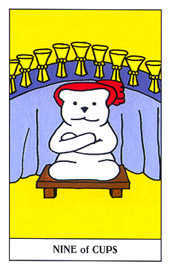 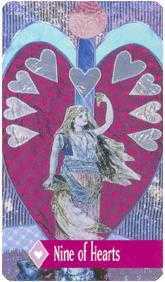 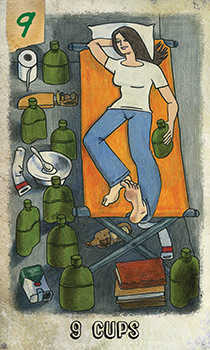 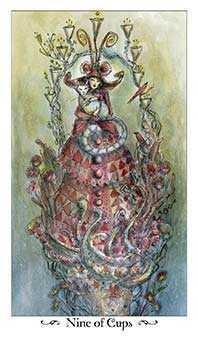 The Nine of Cups in this position advises that you open yourself to circumstances around you. 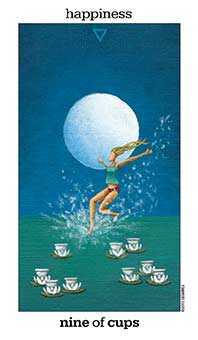 There may be no need to manage a situation that does not require a lot of control or leadership. 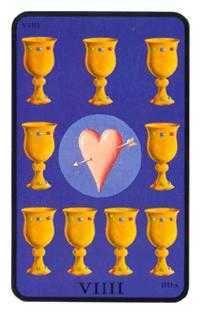 The tone of the moment is heartfelt and bonded. 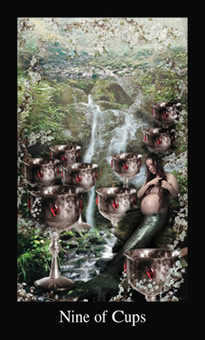 It is nurturing. 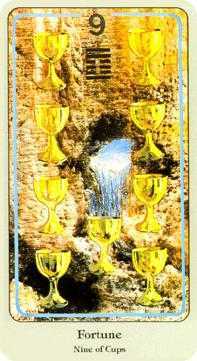 Open up and choose to be receptive. 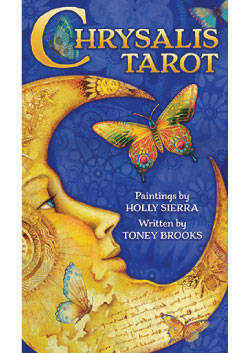 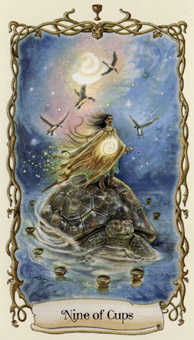 Proceed from your heart, relying on your intuition. 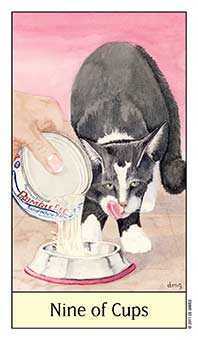 This is your truest source of information right now. 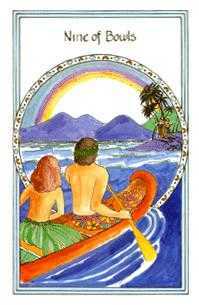 Allow yourself to be attracted to what feels supportive. 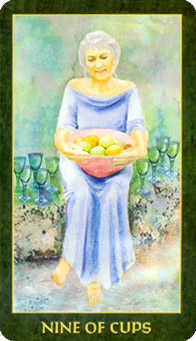 Avoid what feels harsh, critical and judgmental. 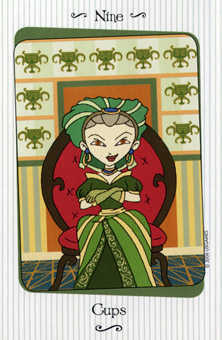 If this requires that you change your style, so be it. 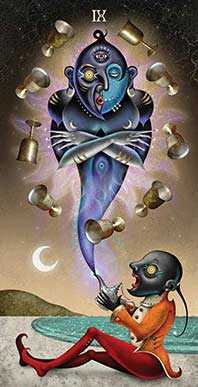 The results of being intuitive are generally far superior to the results of being emotionally guarded and overly rational.